John Adams is a 2008 HBO miniseries on the life of John Adams and the first 50 years of the United States. Directed by Tom Hooper. Written by Kirk Ellis, based on the book by David McCullough. Abigail Adams: You do not need to quote great men to show you are one. John Adams: Liberty will reign in America! John Adams: [on clubs used for beating out rope] Could they not also be used for beating out men's brains?! John Adams: Facts are very stubborn things. John Hancock: The Proclamation by King George III. "Many of our subjects, mislead by a desperate conspiracy of dangerous and ill-designing men, have forgotten the allegiance which they owe to the power that has protected and supported them and have declared rebellion and traitorously levied war against us. It is a better part of wisdom to put a speedy end to such disorders. We have thought fit to issue a royal proclamation that all our royal officers, both civil and military, are obliged to suppress such rebellion and bring the traitors to justice. When the unhappy and deluded multitude against whom this force shall be directed shall become sensible of their error, I shall be ready to receive the misled with tenderness and mercy. For those who persist in their treason...[shocked] for those who persist in their treason, the punishment shall be death by hanging. 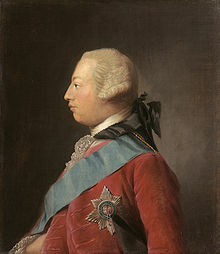 Given in parliament this 26th day of October in the year, 1775...God save the King." Samuel Adams: [furious] God...damn the King! Benjamin Franklin: God bless the King. Who else could've brought such a spirit of unity to the Congress? John Adams: Objects of the most stupendous magnitude. Measures which will affect the lives of millions, born and unborn are now before us. We must expect a great expense of blood to obtain them but we must always remember that a free constitution of civil government cannot be purchased a too dear a rate as there is nothing on this side of Jerusalem, of greater importance to mankind. My worthy colleague from Pennsylvania has spoken with great ingenuity and eloquence. He's given you a grim prognostication of our national future, but where he foresees apocalypse I see hope. I see a new nation ready to take its place in the world. Not an empire, but a republic. And a republic of laws, not men. Gentlemen, we are in the very midst of revolution. The most complete unexpected and remarkable of any in the history of the world. How few of the human race have ever had an opportunity of choosing a system of government for themselves, and their children. I am not without apprehensions, gentlemen. But the end that we have in sight is more than worth all the means. My belief says that the hour has come. My judgment approves this measure and my whole heart is in it. All that I have, all that I am and all that I hope in this life, I am now ready to stake upon it. While I'll live, let me have a country. A free country. John Adams: My dearest friend, the break is made and now our work begins. You will think me transported with enthusiasm but I am not. I am well aware of the toil and blood and treasure that it will cost us to maintain this Declaration and support and defend these states. It is the will of Heaven that the two countries should be sundered forever. It may be the will of Heaven that America shall suffer calamities still more wasting and distresses yet more dreadful. Yet through all the gloom, I can see the rays of ravishing light and glory and that posterity will triumph in that day's transaction. Abigail "Nabby": Why do boys have all the pleasure? Abigail Adams: Because we let them. Abigail "Nabby": When they get back, we shall be very strict with them. Benjamin Franklin: All of Paris is a school, master Adams. A young man need only to avail himself of the lessons. 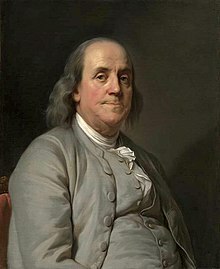 Benjamin Franklin: Here in France you must practice the art of accomplishing much, while appearing to accomplish little. John Adams: Our independence cannot be achieved if we are to be nothing more than a pawn in France’s never-ending game with our common enemy. John Adams: As I did in Philadelphia and we declared independence, you recall. Benjamin Franklin: In Philadelphia we negotiated independence. 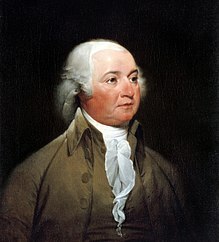 John Adams: Well, you may be as patient and accommodating as you like, doctor, but for myself, I will not voluntarily put on the chains of France while I am struggling to throw off those of Great Britain! John Adams: You know, it is universally believed that dr. Franklin has accomplished our revolution entirely by himself with a simple wave of his electric wand. Whatever merits he may have as a philosopher, as a legislator he has done very little, sir. Very little indeed. John Adams: If ever there was a natural alliance, surely it is between the republics of the Netherlands and the United States. The Dutch first gave asylum to the pilgrims. New York and New Jersey were first settled by your countrymen. Dutch Banker: May I remind you, that the Netherlands were a republic long before America was even an idea? John Adams: Indeed. Indeed, sir. If I may, America and Holland are so close, in history, in religion, in government, that every Dutchman instructed in the subject must pronounce the American Revolution just and necessary, or pass censure on the greatest actions of his immortal ancestors. Dutch Banker: There are rumours, that America will settle for a negotiated peace. John Adams: No, sir. No. No, the only acceptable outcome is complete and irrevocable independence. John Adams: The charge of vanity is the last refuge of little wits and of mercenary quacks! I have long learned, that a man may give offense, and he may still succeed! Abigail “Nabby”: Is the war over? Abigail Adams: Not while there is a single British soldier remaining in America. But they cannot hold on for long. Not after this. God be praised, and General Washington. Abigail Adams: Well, I have been in France for such a short time. It would be unfair to pass sentence or form judgement. Thomas Jefferson: Which implies that you've already done both. Abigail Adams: Well, if I had, Mr. Jefferson, I would only offer them after my further experience had shown my wisdom, or the error of my ways. Thomas Jefferson: An admirable caution. John Adams: Yes, and highly uncharacteristic, I assure you. Abigail Adams: Paris is unique. Thomas Jefferson: Yes, and best enjoyed in the company of women. Abigail Adams: Women would add interest to many things, Mr. Jefferson, if men would allow it. Thomas Jefferson: Well, that has been my experience, Ms. Adams. Benjamin Franklin: The English love an insult. It's their only test of a man's sincerity. Thomas Jefferson: I expect that any constitutional document that emerges from Philadelphia will be as compromised as our Declaration of Independency. I am increasingly persuaded that the Earth belongs exclusively to the living, and that one generation has no more right to bind another to its laws and judgements, than one independent nation has the right to command another. Benjamin Franklin: It is no small thing to build a new world, gentlemen. We have our republic. We must endeavour to keep it, if we can. John Adams: The United States... The United States of America have appointed me minister plenipotentiary to your Majesty. I think myself more fortunate than all of my fellow citizens in having the distinguishing honor of being the first to stand in your Majesty's presence in a diplomatic character. I shall esteem myself the happiest of men if I can be instrumental in restoring the confidence and affection - or in better words, the good old nature and the good old humour, between peoples who, though separated by an ocean and under different governments, have the same language, the same religion, and kindred blood. I beg your Majesty's permission to add that though I have been before entrusted by my country, it was never in my whole life in a manner more agreeable to myself. George III: The circumstances of this audience are so extraordinary, the language you have held is so extremely proper, and the feelings you have discovered so justly adapted to the occasion that I not only receive with pleasure the assurance of the friendly disposition of the United States, but I am very glad that the choice has fallen on you to be their minister. I will be very frank with you. I was the last to consent to separation. But the separation having been made and having become inevitable, I have always said, as I say now, that I would be the first to meet the friendship of the United States as an independent power. John Adams: Thank you, your Majesty. George III: There is an opinion among some people, Mr. Adams, that you are not the most attached of all your countrymen to the manners of France. John Adams: [Suppresses laughter] Yes, well, I avow to your Majesty that I have no attachment to any country but my own. George III: An honest man will never have any other. John Adams: Abigail. Here's a fine culmination to all my years of service - fewer than half the votes of the electoral college. General Washington is unanimously acclaimed President with 69 votes, whereas I apparently am scorned by all but 34 of the electors. Abigail Adams: John, there are two, four, six, eight, ten other names here. You have more votes than all of them put together. And John Jay comes in third with nine. John Adams: Nonetheless, I consider - I consider such a showing a stain upon my character. John Adams: I will not and I cannot accept it. Abigail Adams: John... You are vice president now. John Adams: - to keep us from coming asunder! Abigail Adams: - to keep your thoughts to yourself, John! People will say that your mind has been tainted by foreign courts. They are already saying such things in Boston. Thomas Jefferson: I've been, as you know, in revolutionary France, where the streets are filled with the songs of Liberty and Brotherhood, and the overthrow of ancient tyrannies of Europe. And to return from there to this, our cradle of revolution, and find the dinner table chatter is all of money, and banks, and authority, is an unwelcome surprise. Alexander Hamilton: Unwelcome perhaps, but necessary. Thomas Jefferson: Our constitution has many good articles, and some bad ones. I do not know yet which predominate. John Adams: Well without this government our republic would have collapsed into anarchy long ago. Thomas Jefferson: With this government, I am not certain that we are a republic. Thomas Jefferson: Well... to the revolution. Thomas Jefferson: [angrily] They are one and the same, John! Are they not? John Adams: Thank you, sir. Thank you. George Washington: I am fairly out, and you are fairly in. See which of us will be the happiest. John Adams: Oh, surely you and I, Thomas, can rise above the din of politics. Thomas Jefferson: Nowhere is the din of politics greater than in your own cabinet, which you have inherited from Washington without making a single change. They are Hamilton's men - they are determined upon a course of war with France. James McHenry: War is inevitable, sir. John Adams: No, war is never inevitable. It must be the course of last resort. How great would be the guilt of an unnecessary war? John Adams: These war measures will protect us from insurrection and subversion. Thomas Jefferson: There is no war. John Adams: And that is the principle behind these measures - the prevention of war. Thomas Jefferson: You cannot protect the nation by attacking the right of every man to speak freely without fear. You're trampling on the constitution. The states will have no alternative but to resist these measures, which are an assault on the liberty of their people. John Adams: Yes, but the people's representatives demanded these acts. Would you have me deaf to the voice of the people? Alexander Hamilton: If we're forced to rely on incompetent state militias for our defense, we may as well start learning French now, Mr. President. [chuckling] A national army binds the country much as a national bank does. Alexander Hamilton: Let us not forget there are those in our own country, sir, who would prefer secession to our continued Union. If they should be so bold as to act on their threats, in the event, say, of a French victory, we must be prepared to bring the renegades back into the fold by force if necessary. John Adams: Never in my life have I heard a man speak more like a fool. Your actions, Mr. Hamilton, would precipitate the very thing that you pretend to protect against; the dissolution of this nation. Timothy Pickering: Why on earth would you disband the army when we are preparing for war? John Adams: Why on earth do we need an army when we are preparing for peace? John Adams: You may think it folly, Mr. Pickering. I do not. John Adams: You, sirs, are subservient to Hamilton, who ruled General Washington and would rule me, if he could. Mr. Jefferson, whom you despise, is an infinitely better man. [shouting] I would rather be vice-president under him or resident minister to the Barbary pirates than be indebted to a creature such as Hamilton for my present post! Abigail Adams: Half-fed slaves building our nation's capital. What possible good can come from such a place? Thomas Jefferson: If the Federalist conspirators are allowed to defeat this election, there will be resistance by force, and the consequences could be incalculable. John Adams: The outcome of this election is within your power. You would do well to quiet your revolutionary notions, Thomas. You have only to say that you will not turn out the government's officers, will maintain the navy, that you will honor the national debt -all of which the Federalists hold dear- and the government will instantly be in your hands. Thomas Jefferson: I will not enter office but in perfect freedom to follow the dictates of my own judgment. John Adams: I consider the true history of our revolution to be lost forever. John Adams: Oh posterity, you will never know how much it cost us to preserve your freedom. I hope that you will make a good use of it, for if you do not, I shall repent in Heaven that I ever took half the pains to preserve it. This page was last edited on 3 April 2019, at 03:30.